From native bees working in the fields and hedgerows within a three mile radius of Falmouth Bay – you couldn’t get more local !! 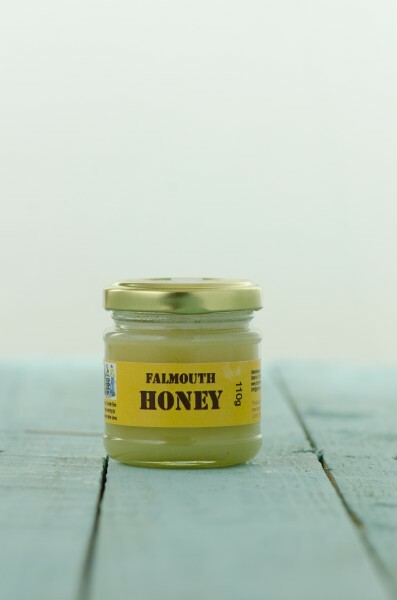 Falmouth Honey is raw, unheated and unfiltered which means that it still contains original pollen because it is not fine filtered. Their honey is not heated like commercial honey and as such it retains its flavour, aroma and all of the natural antioxidants.